It seems our world is filled with turmoil. Everywhere I look I see dividing lines of “us” versus “them”, with so much anger hurled towards each other that it hurts my heart. Sometimes people have so much passion for their point of view that it almost becomes a shouting match to see which side of the line can shout louder to win the game. Win the game? I’m not sure there’s much to be won that way. It seems we all lose when there’s hate, no matter what side of the line you’re on. But recently I was reminded that it’s not all pushing & shoving in our little corner of the world. So I figured amid the ugly stories we’ve all been pounded with, I’d share with you something beautiful. A story that demonstrates the power of LOVE! When we lived in the big city I longed to feel connected to my community. But RancherMan & I barely knew our neighbors. Oh sure, we’d smile & wave as we passed, but we never felt connected. We didn’t know their names, their children’s names, nor anything about any of our neighbors. Not only that, but we never ran into anyone we knew at the grocery store, the bank nor anywhere else we frequented. It sometimes felt we were crowded into a packed neighborhood, yet felt very isolated. We endured that isolation for years. Recently a member of a nearby community experienced a tragedy when his family’s house burned down. They were overwhelmed having lost everything. But that entire community gathered around the couple in ways I’d never witnessed before! One family offered them a place to live temporarily, and others offered anything from money, to household goods to prayers, hugs & comfort. Then one day tucked into all the political pushing & shoving posts on my Facebook newsfeed I spied something brighter. An entire community was getting together to hold a benefit supper to raise money for this couple to help get them back on their feet. I knew this man through mutual friends so RancherMan & I quickly made plans to attend to support him & his wife. Then I shared that notice on my own Facebook page to let others know about it too. I was hoping we could get many people to show up. When RancherMan & I walked up to the community center in that small town, people were spilled out onto the front patio. That community center was packed & we were told there was about a 30-minute wait to even get in line! I peeked in and was delighted to see folks standing in a line that snaked around the entire room. They all stood there chatting & laughing with others in line, friends from their own small town & beyond. Food tables were sat up along the perimeter of the room and there was not an empty space on any of them! Not only savory delights but the homemade dessert table was filled to the brim too. And there were so many warm & familiar faces that greeted us there – all there with a common goal: To show their love their neighbor. As a matter of fact there were so many people that tables had to be sat up in the extension of the building. Chairs were pushed together tightly and we all just packed close together at our table to share that meal. So many folks all too eager to show their love. How wonderful! After we returned home I thought about how loved that couple must have felt to see so many there to support them. But RancherMan & I were blessed to be able to experience it as well. I was blessed to witness such a dramatic outpouring of love & support to a neighbor in need. My faith in the power of love was renewed once again. The ugliness of the stories I’d been subjected to was replaced with the warm feeling that there’s so much more. Isn’t it wonderful?? Now I’ll admit this touches my heart so strongly because it happened in my own neck of the woods but let’s be honest – this kind of love doesn’t just happen in the small towns across America. These tender acts of kindness happen in big cities too. Perhaps those tender stories are just drowned out by the shouting & yelling going on around us. I have a plan: let’s bombard our FB news feeds with beautiful stories to push aside the uglier stories that pack our computer screens! Share your inspiring stories in the comments below and also on your social media news feeds. Let’s remind others that there’s incredible power in love & kindness! My Journey May Not Be YOUR Journey: And That’s OK! But… Don’t We All Want To Look Younger?? 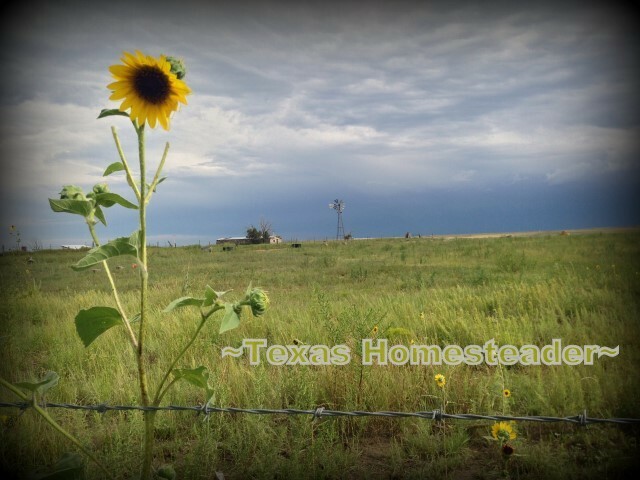 This entry was posted in Blog Posts and tagged Inspirational, Small Town Living on February 4, 2017 by Texas Homesteader. So good to receive this call to action — and uplifting words! Blessings to you! I so agree with you on this. It is stories of kindness that give me hope, especially when we experience such incredible peril right now as our world leaders rattle nuclear sabers at each other. Some of the stories that give me deepest hope are those of the Christians and Jews who helped to rebuild a mosque in a little Texas town after it burned to the ground. Similarly, Muslims all over the country have raised hundreds of thousands of dollars to help Black congregations rebuild their fire-bombed churches, especially in the south. When I see such stories I think there may be a chance for humankind to survive, if we can just get our leaders to calm down a bit and listen to Love. Thank you so much for writing this. I totally like your idea of spreading feel good stories. I only skim headlines for important news, it’s too depressing to “read” news today. Kind of reminds me of the Anne Murray song “We sure could use a little good news today”. I so appreciate your attitude and sharing, look forward to seeing your emails in my inbox. Thanks for sharing. So tired of all the negative nellies. We all need something happy, positive and light to realize it is not all bad.